President Erdoğan of Turkey and Vladimir Putin of Russia attended meetings in Moscow on Friday, the results of which signal better times for the Turkish economy in 2017. Only the second meeting between the two presidents since the Turkish air force shot down a Russian bomber on the Turkish-Syrian border, both leaders hoped for successful talks in an attempt to further strengthen the relations between the two countries. Top of the agenda were discussions on economic issues, energy and military cooperation, the withdrawal of some present travel restrictions on Turkish nationals and the import restrictions on Turkish companies and food products. Both Erdoğan and Putin were later keen to comment on the success of their meetings, looking forward to the future with stronger ties and alliances. Following a disastrous year for the Turkish economy thanks to a range of political and economic calamities including the failed attempt at a military coup in July 2016, investor confidence proved to be shaken. The beginning of 2017 was also marred by the New Year’s Eve bombing in Istanbul which led to a steep decline in the value of the Turkish lira. However, 2016 was perhaps the toughest year for the global economy since the Lehman Brother’s collapse in 2008 when the whole world faced a global financial crisis. In the last 12 months, the global market has had to face Brexit in the UK, the election of Donald Trump in the United States, China’s slowing economic growth and the increasing fragility of European banks; Turkey is not the only economy to have been seriously affected. Economic growth in Turkey looks positive for 2017 with statistics showing that consumption and production recovered in the fourth quarter of 2016 and that the Turkish economy ended the year with a modest growth rate. Thanks to the restructuring of the public sector, Turkey now has ample space to implement expansionary fiscal policy with a low public deficit and debt which can only strengthen the government’s position. Economists and businessmen are generally more optimistic about the export performance of Turkey in 2017, but it is the restoration of relations with Russia which will help to increase agricultural export and tourism revenues. Last summer, Turkey took the initiative to restore the relationship between Ankara and Moscow, which subsequently began to return to normal. Despite the rapprochement, Russia has moved slowly to lift economic restrictions, keeping some in place as an apparent motivator for Turkey. 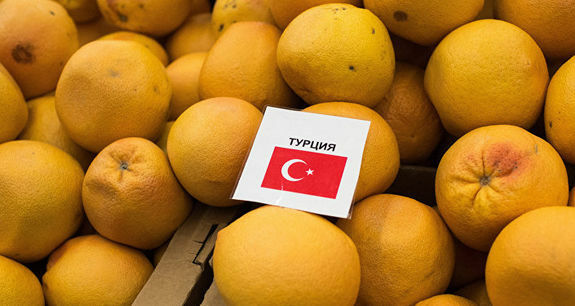 However, even before the two leaders met this weekend, the Russian cabinet agreed to allow the imports of Turkish cauliflower broccoli and other produce from Turkey, which will serve as a huge boost to the country’s agricultural economy which relied heavily on Russian business before relations soured. The tourism industry will also be looking forward to welcoming their usual influx of Russian visitors once again, having felt their absence in 2016. Turkish Airlines is currently looking to expand on their destinations in Russia and open up a number of new flight paths between the two countries in 2017. Russia has also promised to further liberalise the travel visa regime with Turkey that was introduced shortly after the downing of the Russian bomber in 2015. Over the past few days, Putin has announced that the ban on Turkish construction companies working in Russia has been lifted which will create more work for Turks in Russia. The leaders also confirmed their readiness to move forward with some of the most important Russian-Turkish economic projects. The most prominent agreement at the meeting in Moscow on Friday, was the memorandum of understanding signed to establish a joint investment fund between the Russian Direct Investment Fund (RDIF) and the Turkish Wealth Fund (TWF), called the Economic Cooperation Plan, in a bid to further increase bilateral economic ties and boost investment flow. President Erdoğan announced that the capital of this joint investment fund will be $1 billion. Putin announced that Russia’s gas giant, Gazprom, is ready to start work on the Turkish Stream gas pipeline on the seabed of the Black Sea, and the nuclear energy company, Rosatom, is ready to start building the Akkuyu nuclear power plant in southern Turkey. The Russian government and Gazprom initially planned a South Stream gas pipeline to be built under the Black Sea from Russia to Central Europe via Bulgaria, but the project encountered resistance from the European Commission and so negotiations moved to Turkey. 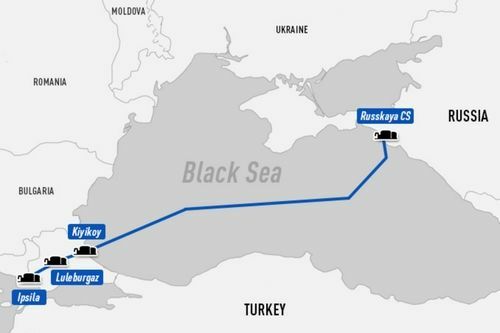 The Turkish Stream project envisages the construction of a gas pipeline across the Black Sea to the European part of Turkey and further to the border with Greece. The project is expected to cost around 11.4 billion Euros, but gas deliveries via the first stretch of the gas pipeline are designed wholly to meet the requirements of the growing Turkish market. The project will be a collaboration between Gazprom and Turkey’s petroleum pipeline corporation, Botas. The Turkish Stream will end the transit of gas to Turkey through Ukraine, Moldova, Romania and the Balkans, while offering a discounted price on gas to Turkish companies and citizens. 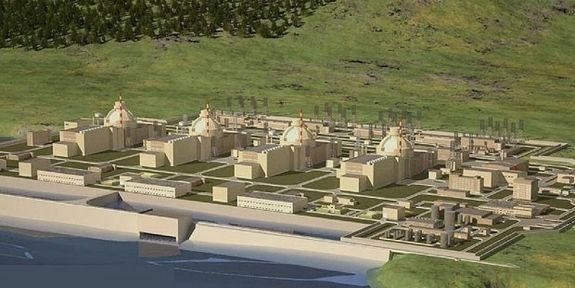 In May 2010, Russia and Turkey signed an agreement that a subsidiary of Russian State Atomic Energy Corporation would build, own and operate a power plant at Akkuyu, in Büyükeceli in the province of Mersin on the south coast of Turkey. Financing is provided by Russian investors with potential investment from Turkish companies Park Teknik and Elektrik Üretim. The Turkish Electricity Trade and Contract Corporation has guaranteed the purchase of 70% power generated from the first two units built and 30% from the the third and fourth units over a 15-year power purchase agreement, whereby electricity will be purchased at a price of 12.35 US cents her kW-h. On the 9th of December 2015, the news agency Reuters reported that Rosatom had stopped construction work at the power plant and that Turkey was assessing other potential candidates for the project after the break down of relations with Russia. However, both leaders announced that construction would go ahead during talks in Moscow on Friday. Late 2016 saw new Syria peace negotiations brokered by a Russia-Turkey partnership in the hope of finally bringing peace to the region. Russian President Vladimir Putin has since said that the truce in Syria is on the whole being observed, adding that he is cautiously optimistic about the prospects of a deal to end the six year Syrian conflict. At the back end of any success story in Syria, we see a positive response in the Turkish economy. Strains on Turkish military and the country’s tourism industry have increased as the trouble continues in Syria. Peace on the Turkish border would be incredibly positive for Turkey in many ways. Russia and Turkey, which back opposing sides in Syria’s war, co-brokered a ceasefire in December that helped reduce the scale of fighting between Syrian President Bashar al-Assad and the opposition. The increasingly close cooperation on Syrian between Russia and Turkey marks a sharp turnaround for the two nations, which have also coordinated their operations against the Islamic State of Iraq and Levant armed group in Syria. Russian relations aside, Turkey has seen growth and positive impacts in other areas of its economy. In February Turkish unemployment figures fell thanks to the announcement of a new job campaign by the Turkish Government. Officials expect the unemployment rate to fall to single digit figures by the end of 2017 thanks to Erdoğan’s recently launched “employment mobilisation” campaign, which aims to curb the negative trend in employment. While the campaign officially starts this month, with the intention of creating 2 million new jobs, 232,085 new jobs were created in Turkey in February with the promise of social security premiums and other premiums to be paid for each new employee for a one-year period by the state authorities. The government package is estimated to cost 12.3 billion Turkish lira, most of which will be met by the Employment Fund. However, many Turkish companies and sector associations have responded positively to the employment drive, vowing to create thousands of new jobs across the country. The Turkish lira had a poor start to 2017 after a forgettable 2016 when it was recognised as the second worst emerging market currency behind the Argentine peso. 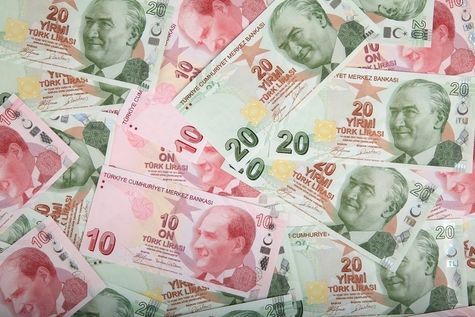 The New Year’s Eve bombings in Istanbul also caused a dip in the lira’s global value. However, perhaps in part thanks to the weakness of the US dollar since Donald Trump was inaugurated as President of the United States, the Turkish lira managed to bounce back with a six week high against the US dollar following a historic hike of over 3.9 lira to the dollar in mid January. The currency unit has been on a consistent upward trend throughout February and into March. The value of the lira has inevitably dipped and dived since, but seems to be holding strong at around 3.7 currently. The Istanbul/Borsa Stock Exchange has also managed to hit a 25 month high in 2017. Turkey’s benchmark index was up 1,322.94 points to close at 91,044.99 on March the 6th. 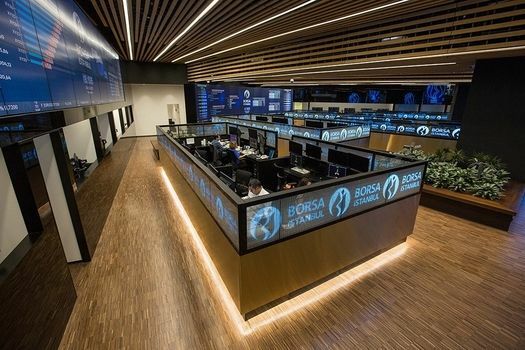 The Borsa Istanbul (BIST) is the sole exchange entity of Turkey combining the former Istanbul Stock Exchange (ISE) the Istanbul Gold Exchange (IAB) and the Derivatives Exchange of Turkey (VOB) under one umbrella and was established as an incorporated company in April 2013. The Turkish government is currently a majority shareholder of Borsa Istanbul with 49%, so any positive shift in the stock exchange is a success for the Turkish economy. Last week the BIST 100 index also rose 1.4% with a total trading volume of 4 billion Turkish Lira. Banking and holding indexes were up 1.75% and 2.25% respectively and the most heavily traded stocks were lenders Garanti and Halkbank, the national flag carrier Turkish Airlines and other lenders Yapı Kredi and Akbank. Shares of Yazicilar Holding (YAZIC), which operates mainly in beverages, retail trade and automotive sectors, were the best performer of the week rising 4.97%. It is not only the Turkish government and the people of Turkey who are predicting an upward turn in the country’s economy, the outlook for Turkey is positive with economists across the globe. If the political situation in Turkey can remain stable and troubles on the border with Syria can be extinguished thanks to the Russian military alliance and ceasefire, Turkey may be glancing upon the light at the end of the tunnel. Now may be the best time for foreign money to invest in property and business in Turkey. Properties across the country are more affordable than ever and the Turkish government are willing to provide tax cuts to foreign investors with the promise of granted residency to high rollers who invest their cash in Turkish banks. With interest rates remaining stable with a foreseeable period of economic growth and the political stability that April’s referendum could bring, 2017 could mark a turnaround for Turkey.